Police Promotion Exams from YOUR Textbooks! Testing for promotion? Give yourself a real advantage over the competition! Study with real police promotion exams, with up to 500+ test questions and answers from EACH of the 100+ major textbooks used in Detective - Corporal - Sergeant - Lieutenant - Captain and upper-management promotions. 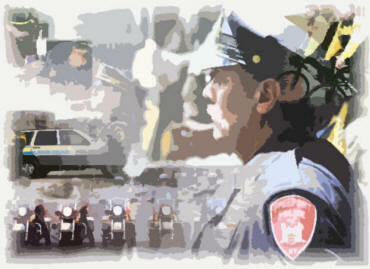 Take real police promotion exams written by the experts in our law enforcement testing company. Starting at less than $1 a day you have unlimited use of real exams from your textbooks - print them out, take and score them online or on your desktop, and use BOTH online and printed flashcards. Thousands of our clients have been promoted from the TOP of the list. Over 99% of our clients pass their written promotional exams. As a BONUS you will receive an in-basket and interview assessment, and the passwords to log in to two exclusive oral-board training videos! Exclusive Exam Pass Guarantee: If you follow our proven study system and don't pass - we refund 100% of your membership. It's that simple. You have to read through hundreds, maybe even thousands of pages of material. You're not sure where to focus your study, what tools to use, or how and where you should begin. You're at the point in your career where you really want to advance in rank. A passing score in the 70's isn't going to be good enough. You need to be at the TOP of the list! You're not sure you are retaining what you read. You need to continuously test yourself using different formats, answering HUNDREDS of real exam questions written by the experts, and written specifically from your textbooks, so you can spot your weak areas and concentrate on the most difficult topics. You need a study system that's easy to follow, with powerful tools and clear instructions. Using our proven study system, you'll start by taking real promotion exams with up to 500+ actual test questions from each of your textbooks. Exams are professionally written by the experts in our testing company for police agencies - PolicePromotion.com. See if we have exams from your police promotion textbooks. We cover over 100 of the textbooks written by the best and most highly acclaimed authors in the law enforcement and criminal justice field. If you want to advance in rank, these are the books you should own and study. Think how much more prepared and confident you'll be when you can easily answer HUNDREDS of real promotion test questions written from EACH of YOUR textbooks! These are the toughest and most comprehensive exam questions available. These questions are not available from any other source. BONUS items: in-basket and oral board assessments, oral board videos, and much more! Enroll Now or scroll down to learn more. Can we help YOU achieve your promotion? Yes. We've helped THOUSANDS get to the TOP of their promotion list. "I wanted to take a moment to thank you and your staff for putting together the finest program I have ever had an opportunity to use to prepare for a promotion process! I am happy to say that I tied for the top written test score and placed first in the oral board. As a result I was promoted to the rank of Lieutenant. I can say without a doubt, I would not have been able to achieve this without the help and use of your program. I cannot thank you enough for taking the time to create this outstanding resource." "This email is long overdue. I used PoliceCareer.com for the second time, and for the second time I got the highest score on a promotional test. I was promoted to Lieutenant in January. The practice tests and flashcards put me over the top, but I scored several points higher than everyone I tested against. Obviously, I'm a satisfied customer and will be telling my friends about your website!" No waiting for the U.S. Mail - exams, flashcards and bonus items are online, and also sent to your email, ready to print. You have UNLIMITED use of our system 24/7, and the results are there for you instantly. Using your smartphone, tablet, PC or MAC try some short, sample online exams and flashcards before you enroll. Cost effective and a great value - Choose 30 days, 90 days, or 180 days of access, and also receive 50% off - 1/2 price - on exams for more than 1 textbook. Starting at less than $1 a day you have unlimited use of online and printed exams and flashcards, and will take advantage of a proven study system designed to help achieve your promotion! We are so sure of our mission of helping you get the promotion that we offer you our exclusive "Pass Your Exam 100% Risk Free" Guarantee! Thousands of our clients have been promoted using our study system. Read just a few of the testimonials. Watch this YouTube Video from Asst. Chief Bill Reilly (ret). Bill explains the advantages of learning the material in your textbooks using our study system, and using the exams in our Advanced Police Promotional Testing Course. Enroll Now or scroll down to learn more about our exams and testing system. 1 Advanced Online Exams - You will use a dynamic and interactive LMS (Learning Management System) for your online exams. The LMS format is widely used to prepare for State Bar exams, for Master's and Doctorate degree programs, and in many other professional preparation courses. Use any smartphone, or any device with a modern browser - and you will log in to our Learning Management System 24/7 and take these online exams covering all the available questions from your textbooks! Use many more features to help you quickly LEARN and RETAIN the material. Try the online exams and flashcards - no cost or obligation. 2 Advanced Desktop Exams - This is an interactive and dynamic PDF exam file, using the free Adobe Reader software, so you can use these exams on your Windows or Mac desktop or laptop system. Offline and private - no web connection required. Each Advanced Desktop Exam contains all the questions we have available for each title. Activate a built-in timer, and use a hint button. One-click scoring, then reset and retake the exam an unlimited number of times. Save the exam so you can return to it later, no wasted effort or time. 3 Paper-and-pencil format exam. Clients tell us this is a great tool! Print the questions from ALL the textbooks you are studying. Mix all the printed questions together into one exam, and then make multiple copies. Randomize the pages each time you take the exam. Especially if your agency is using a paper exam, this is an excellent way to practice! 4 ONLINE Flashcards - Alongside the Advanced Online Exams, you can log in and use ONLINE flashcards! Use your smartphone or any web-connected device with a modern browser - and you will log in to our Learning Management System 24/7 and use flashcards with all the available questions from your textbooks! These Online Flashcards are the perfect companion to the online exams. Each online flashcard set comes with all the questions we have for that title. Each flashcard has the textbook and page number marked along with the correct answer. With each flashcard you can mark it for review, and enter your own notes right on screen. You have complete control of which flashcards will appear; all the questions, just those you have marked for review, those you haven't seen yet, those you got wrong one or more times, or just those you have gotten wrong 50% or more of the time. 5 PDF flashcard format - You also receive the exam questions formatted and ready to print in flashcard size. Study privately, study anywhere, and study with family and friends. Each flashcard file comes with all the questions we have for that title. Each flashcard provides the question, possible answers, correct answer, and the title, edition and page number where the material appears. Our study system is designed so you will quickly learn and retain the material, and also eliminate test-taking anxiety through constant practice with all 5 of our testing formats. Have any questions? Contact us, we reply quickly! Enroll Now or scroll down to try our online exams and flashcards. Try the online exams and flashcards from 12+ of our most popular titles right now - at no cost. Receive an immediate email with a temporary User Name and Password and the link to log in and try our system. Use your smartphone, tablet, laptop, Chromebook, Mac or PC to take short, sample Advanced Online Exams and use the Online Flashcards from ALL of the textbooks listed below. Our FULL list of exam can be found here, with the number of questions on each exam. Enroll Now or scroll down to learn about the BONUS items. BONUS - You will also receive our bonus eBook "The Naked Truth About Assessment Centers in Police Promotional Testing" AND our best-selling eBook "Police (Combat) Résumé Writing Techniques - with Sample Résumés." Enroll Now Have any questions? Contact us, we reply quickly! Support via live chat, text message and rapid email - one of our Testing Center Technicians will be available to you by live chat, rapid-response email or text message 7 days a week including holidays, from 9 a.m. to 9 p.m. Eastern should you have any questions or problems. Or, during Testing Center hours, email us a question and we will respond quickly! My name is Lt. Paul Patti (ret). 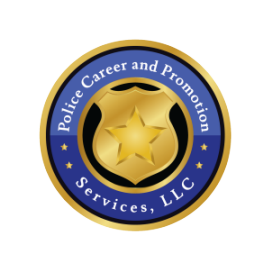 I am the Director of Police Career and Promotion Services, LLC. Since 1985, our mission has been to help you achieve your promotion. I lead a team of law enforcement, legal and human resource specialists, available 7 days a week, 365 days a year, ready to help you succeed. Feel free to write to me directly with any questions - Paul@PolicePromotion.com - I will respond as quickly as possible! Read what your fellow officers have to say about studying with our exams and flashcards! Since 1985 thousands of police officers around the nation have been promoted using our exams and assessments to prepare. Read what just a few of them have to say. We want to add YOU to this list! "I am through the entire process and have been promoted to Lieutenant after finishing first in the process. I have no doubt that the system used by your company allowed me to excel to the top and without it I would not have done as well. I did not find the program until late in the process and had no idea it would be as in depth as it is. The program is excellent and I would recommend it to anyone seeking promotion. "I am happy to say that my PoliceCareer.com study materials were on point! "I topped a test taken by 23 other members of my department. I really feel as though the materials I utilized from PoliceCareer.com paved the way for that success. I am happy to report that I was promoted to Sergeant. I will be recommending your materials to others for the next exam. Thank you again for an outstanding product!" "Just wanted to thank you and your company for the service you provide with the online tests. This is the second time I have used your company. 5 years ago I used your online tests to help me and I was promoted to Corporal. Several months ago I again enrolled with your company to prepare for the upcoming Sergeants test. Today I just found out I finished #1 on the Sergeants exam and will be promoted in a few weeks! I read the books and took the practice exams and scored a 91 on my test and also scored very high on my oral boards! So thanks again!" "Out of 50 applicants, I scored #1 with the help of your exams. My partner also purchased the First-line Supervisors exams and he placed #3. Thank you for your assistance!" "I used your program to prepare for the Sergeant's exam at my department. Your program was very helpful and relevant to the written test I took. I scored 94% percent on the exam and placed #2 overall among all the candidates. I was promoted to Sergeant last week and your program was an important part of my success. "I will absolutely come back to your program when the opportunity to test for Lieutenant arises." "I wanted to thank your company for the help testing for both the written and oral promotional exams for lieutenant. I received a 94 on written and top score on oral boards, and I will promoted to lieutenant! Please do post my email. It's a great program and will help anyone willing to put the time into studying for the test." Thanks again Lt. DB, Ohio. "Sir, I would first like to thank you for the time and effort you put into your product. This was my first promotional test and I had no clue what to expect. I found every aspect of the online learning and downloadable tests priceless in my preparation. I not only achieved the highest score on our written exam, I beat everyone else by 10+ points. Going into my oral assessment I knew that I had to score very high due to seniority and the overall weight of the assessment. Utilizing your online video resources for a better oral assessment gave me the edge I needed. Again, I placed first on my oral assessment with an overall 69 out of 75. I will quote my chief when she gave me the news of my new promotion, "it wasn't even close." I can only thank you for assisting those committed individuals to achieving their goals." "I just wanted to give some feedback regarding my experience with your site. I recently took a Sergeant promotional exam at my agency and used your website at the urging of some co-workers. I am happy to report I finished #1 overall and was immediately promoted to the position of Sergeant! I studied for the written exam using the flashcards and practice tests on a daily basis. I know this study material helped me focus and provided direction for my efforts. I found your program to be a worthy investment and will continue to recommend your services to other members of my department in the future." "I joined your website last December. Putting myself on a strict schedule and taking over fifty tests on the site, I was preparing for the Lieutenant Promotional Exam with my agency. Well, now that both portions of the test are over, I am happy to say that I finished first in the process." "Just got the good news, that I've been promoted to sergeant! There is absolutely no doubt in my mind, that without Policecareer.com, this never would have happened." - Sgt. Steve L., PA - Quoted with permission. "I just wanted to thank you for this site! It really made me focus 110% on the testing process. I would not have known how much needed to go into preparation if it were not for you! I finished #2 out of 46 overall and am getting promoted November 7th." - Christine K, MI- Quoted with permission. "I just wanted to thank you and will be a believer in this program forever. I recently tested for the rank of Sergeant. After reading the books and practicing with your tests, on test day I felt very little nervousness and was completely prepared. I was just called by the Chief and he told me I was promoted to Sergeant! Thanks again, for I know I wouldn’t have done as well had I not utilized your services. I will definitely be recommending this service to future sergeant candidates." - Sgt. R. Reed, MO- Quoted with permission. "I recently purchased and utilized your website for my department's sergeant position. I read the many testimonials and felt compelled to relay my success as well. I also placed first on the written test and received the promotion of Sergeant. Thanks again, money well spent!" Sgt. R. Kohli - OH - Quoted with permission. "As a result of your exams and information I finished 11 on a list of over 350 and was recently promoted to Lieutenant! Lt. Anthony Buchanico - PA - Quoted with permission. "I used your tests and preparatory interview questions to get myself ready for the challenge. I am pleased to inform you that I scored first on both the written test and the oral interview. I am going to be promoted from the rank of corporal to the rank of sergeant on December 21. Thank you again for offering this program!" Sgt. Jason Negron, PA - Quoted with permission. "With your assistance I was able to come out FIRST on the list. I would recommend your testing site to anyone preparing for a promotional exam. Thanks!!" James George, TX - Quoted with permission. "After reading and studying the books required by my department, I began taking your tests. I ended up finishing second with a score of 97. I was recently promoted and can happily say that without your tests, I would not be wearing my stripes today. Sergeant Paul E. Kostick, Florida Quoted with permission. "I studied this past summer using your methods and I scored number ONE on the lieutenant's exam and was promoted! Thank you very much for your guidance!" "I just wanted to add my name to the list of success stories. I used the tools on your site and came out number one on the exam and on the promotion list. Thank you and I will recommend your site to my friends." Prince George County (VA) Police Department - Quoted with permission. "I purchased your material to study for my Sergeant promotional exam. I studied regularly. Over 90 police officers took the test and I scored the best, #1 on the list. " St. Croix , Virgin Islands - Quoted with permission. THREE Top Scores in One Agency! I passed our written Sergeant's exam with the highest score out of the 11 people taking it. ALSO one Sergeant and one Lieutenant taking the exams also joined your site and they also passed their exams with the TOP SCORES! J. McCune, Ohio - Quoted with permission. You have helped me get promoted to Lieutenant! My score was the highest on the written test and I finished #1 overall! Lt. Shane Wimer, CA - Quoted with permission. "I just wanted to let you know how effective your system is! Your tests enabled me to finish #1 on our promotional list for Sergeant, and I was promoted! Absolutely the best money I could have spent!" Chris Porter - New Sergeant in Pennsylvania - Quoted with permission. "I scored second on my recent Sergeant promotional testing and was only 0.43 points behind number one. I had my promotion ceremony last week and take over my shift of officers tonight. Michael Hogan, Florida Quoted with permission. "I just wanted to thank you and let you know I took our Sergeant written promotional test and passed for the first time in three years. BUT not only did I pass, I received the second highest written score! Thanks a lot! PoliceCareer.com was a big help!" Carlos Macias, California - Quoted with permission. "I just wanted to write and thank you for your services. I received my test scores today and am very happy to say that I scored #1 overall and I will be promoted next Thursday!" Naugatuck, CT - Quoted with permission. "I scored FIRST on the written test with a score of 96% and I also scored FIRST in the Assessment center. I KNOW that without your help on both the test and "in-basket", I would not have scored as high as I have. I finished FIRST overall with a final combined score of 97.8% and I get promoted to Sergeant next Wednesday!" New Sgt. in Ohio - Quoted with permission. "I took the Philadelphia PD Sergeant exam in February. With the help of your tests and flash cards I was able to come out #1 on my promotional exam out of 2,000 applicants. I would recommend you guys to everyone. Thanks you so much!" Member From Philadelphia PD - Quoted with permission. "I am very proud to say that after many hours of studying and preparing for the exam it is finally over but most importantly that I have come out #1 overall. The on-line testing was also extremely valuable in answering some of my oral board questions. Thank you for your prompt attention to my questions during my pre-exam studying. Stephen Prajer, CT - Quoted with permission. "Your exam allowed me to identify weaknesses in my study routine. I bought it 3 days before my test and took it multiple times, using it with my text book to drill down where the questions came from. I scored #1 on the written exam out of 60 people sitting for the Lt exam." Member From Austin, TX - Quoted with permission. "The flash cards were a great help in acing the detective test for my department, and the desktop exam was a great tool to help track my progress. Separate yourself from the rest of the pack - highly recommended!." - Member from Philadelphia PD - Quoted with permission. "I had the high score on my department's Sergeant promotional test. The flash cards were easy to use and allowed for repetitive studying while on the go. I spent a lot of time going over the flash cards while waiting to pick the kids up from school or practice. Great investment"
- Member from Warren, MI - Quoted with permission. With your membership you can take the LEPTAD 100+ Question Oral Board Structured Interview Assessment, including a separate, detailed analysis of your responses. The LEPTAD is our exclusive Law Enforcement Promotional Testing Assessment Device for you to evaluate and receive expert advice on your answers on oral boards and other assessments. The LEPTAD is copyrighted and available from us and no other source. We have used it thousands of times to assist police promotional candidates in passing their structured, oral and panel interviews. With the LEPTAD Oral Board and Interview Assessment, you will learn OVER 100 examples of the most difficult questions you will face in your promotional Structured, Panel or Oral Interviews and Assessments - and how you are expected to answer! You will find out EXACTLY what law enforcement managers and police assessment centers want to KNOW ABOUT YOU BEFORE THEY DECIDE TO PROMOTE (or NOT PROMOTE) YOU! "Defense" of Subordinates and the Department Management. EXLCUSIVE! BONUS 20+ Minute Video! "The Top Ten Oral Board Mistakes - and What To Do Instead!" Available only to our clients. This video is not available from any other source. It was created for the exclusive use of our clients by the national leader in law enforcement promotion oral board preparation - Asst. Chief (ret) Bill Reilly of Finest's Professional Development. What is the KEY to a natural, confident and complete oral board presentation? What is the BEST TIME to schedule your interview - and which time slot should you AVOID? What is the BEST WAY to respond to a question when you simply do not know the answer? What are the BEST WORDS to use at the end of your introduction? What is the BEST WAY to structure your summary statement? What is the BEST WAY to END an answer during the questioning phase? What is ABSOLUTELY THE WORST WAY to end your oral board interview? And .... what you should do instead. ADDED BONUS - Oral Boards Made Easy(tm) Video Module 5 - "Answering Interview Questions." Clients of our Promotion Testing Course can also take our example Police Promotion In-Basket Assessment - a timed, 90 minute, difficult, 12+ item in-basket originally designed for a Lieutenant / Captain / Commander promotion process. general supervisory and management knowledge and skills. You can use this in-basket exercise to practice with as often as you like. Think in-basket assessments are EASY? They're NOT, and you'll see why. You don't just read a few phone messages and emails and jot down a few notes. An in-basket assessment you will undergo for a police promotion contains pages and pages of background material and takes a great deal of concentration and organizational ability, and the ability to work quickly under pressure. and you must take accurate and detailed notes. Then you are presented with a detailed scenario along with 10 to 20 in-basket items, all the while a clock is ticking down the time. how well you verbalize your analysis, actions, conclusions and responses to the assessors. Finally, your overall rating also takes into account how thorough and knowledgeable you were on your analysis and action on each item, and whether you properly delegated or handled the material. Do you know that 1/3 - 1/2 of police promotional candidates FAIL their first in-basket assessment because they walk in, unprepared, thinking it will be EASY? They are then shocked and surprised at what they find. Don't be one of these candidates. PREPARE NOW. Our best-selling Assessment Center book, The Naked Truth About Assessment Centers in Police Promotional Testing - Insider secrets on what these tests are all about and how you can best prepare for them. AND our best-selling book Police (Combat) Résumé Writing Techniques and Sample Promotional and Police Chief Résumés. Our "Pass Your Exam 100% Risk Free" Guarantee! We are so sure that our testing products and services will help you achieve your promotion that we give you a "Pass Your Exam 100% Risk Free" GUARANTEE! If you follow all the steps below and don't pass - we refund 100% of your membership. It's that simple. First step - Sign up for our 90-day or longer exam study period. If we have the exams, choose them for each of the textbooks on your department exam announcement. Next - Purchase or rent each of the assigned textbooks. Next - download and utilize our study system. Next - Practice with and PASS our Advanced Online Exams for each of your books. Of course, these are just the common-sense things you need to do to come out #1 on the promotion list. However, if you FAIL your department written exam after following all the above steps, send us an official copy of your score within 10 days of failing the exam. How can we give you such a guarantee? Simple! We know our exams and study system WORK! We've been in business since 1985 and have had THOUSANDS of SATISFIED CLIENTS! Didn't find your promotional exam title? Law enforcement promotional exams for many great titles and editions are in the works and coming soon, email us with any questions. Enroll now - Start Studying for YOUR Law Enforcement Promotion TODAY! Enroll now using your PayPal account, or PayPal will also process your credit card. Have a Question? Need Help Fast? Find YOUR textbooks below. We have difficult and comprehensive promotional exams for each of these 100+ titles and editions. The number of questions is listed for each title. Check for new exams coming soon. Arizona Officers Legal Source Book - the Peace Officer's Bible. From Law Enforcement Training LLC. Attorney-written exam with 300+ questions. Enroll now - Order the textbook. Basic Handbook of Police Supervision: a Practical Guide for Law Enforcement Supervisors - Garner 1E - Often used in police Corporal and Sergeant promotion exams, as well as Senior - Master Officer or Senior - Master Deputy exams. 200+ questions. Enroll now - Order the textbook. Briefs of Leading Cases in Law Enforcement 9th Edition 2015. 8th Edition exam also available. Attorney-written exam with 200+ questions. Enroll now - Order the textbook. California Peace Officers Legal Sourcebook & California Codes - written by the California Attorney General and as featured by CopWare. Updated twice per year, last update March 2019. Attorney-written exam with 300+ questions. Enroll now - Order the textbook. Challenging the Law Enforcement Organization - Proactive Leadership Strategies 2006 by Jack Enter, Ph.D. Excellent leadership title for use in Sergeant, Lieutenant and Captain promotions. 130+ questions. Enroll now - Order the textbook. Character and Cops: Ethics in Policing -Delattre - 6th Edition - 2011. 260+ questions. Enroll now - Order the textbook. Civil Liability in Criminal Justice 7th Edition Ross - 2018. Attorney-written exam with 200+ questions. The exam for the 6th Edition is also available. Enroll now - Order the textbook. Common Sense Police Supervision - Practical Tips for the First-Line Leader - Gerald W. Garner - 6th Edition 2018. 5th and 4th Edition exams are also available. Excellent choice for Corporal and Sergeant exams. 330+ questions. Enroll now - Order the textbook. Community Policing A Contemporary Perspective - Kappler and Gaines, 7th Edition 2015. 260+ questions. 5th and 6th Edition exams also available. Enroll now - Order the textbook. Community Policing Partnerships for Problem Solving - Hess and Miller - 8th Edition - 2018. 310+ questions. 7th and 6th Edition exams also available. Enroll now - Order the textbook. Community and Problem-Oriented Policing - Effectively Addressing Crime and Disorder - Peak and Glensor - 7th edition 2017. 260+ questions. Enroll now - Order the textbook. 6th Edition exam for this series appears below. Community Policing and Problem Solving - Strategies and Practices - Peak and Glensor - 6th Edition - 2012. 200+ questions. Enroll now - Order the textbook. 7th Edition exam for this series appears above. Connecticut Law Enforcement Officer's Field Manual - "The Red Book" 2018 Edition as featured by LooseLeaf Law Publications. Attorney-written exam with 260+ questions. Enroll now - Order the textbook. Criminal Investigation - Hess and Orthmann, 11th Edition 2016. 370+ questions - also the 10th and 9th Editions exams are also available. Enroll now - Order the textbook. Criminal Investigation - Lyman, 3rd Edition 2018. 340+ questions. Well written and thorough criminal investigation title used nationwide and also in Canada. Excellent for promotion or competency exams for investigator positions. Enroll now - Order the textbook. Criminal Investigation - Swanson, Chamelin, Territo and Taylor, 12th Edition 2018. 520+ questions. The new edition of this textbook adds a great variety of new material. The 11th and 10th Edition exams are also available. Enroll now - Order the textbook. Criminal Investigation - Basic Perspectives, 13th Edition 2015 by Lushbaugh and Weston. 300+ questions. Enroll now - Order the textbook. Criminal Investigation - the Art and the Science - Lyman 8th Edition, 2016. 460+ questions. 7th Edition exam is also available. Enroll now - Order the textbook. District of Columbia Criminal Code and Procedure December 2017 - Comprehensive 360+ question Attorney-Written exam covers all aspects of Washington D.C. law. Enroll now - Order the textbook. Effective Police Leadership - Moving Beyond Management - Baker, 4th Edition 2017. 340+ questions. The exam for the 3rd Edition is also available. Very popular textbook choice for police lieutenant and captain exams. The new 4th edition adds a great deal of new material. Enroll now - Order the textbook. Effective Police Supervision - More and Miller 8th Edition, 2017. 500+ promotional test questions for the new 600+ page 8th edition of this timely, all-inclusive police supervisory textbook often used in police sergeant and lieutenant exams. Exams for the 7th, 6th and 5th Editions are also still available. Enroll now - Order the textbook. Effective Supervisory Practices - Better Results Through Teamwork - 5th Edition - ICMA Press - 2013. We have a difficult and comprehensive 300+ question exam for this popular corporal and sergeant promotion testing title. Enroll now - Order the textbook. Emotional Survival for Law Enforcement - A Guide for Officers and Their Families - Gilmartin 1st Edition. 150+ promotional test questions for this excellent textbook often used in police corporal, sergeant and lieutenant exams. This title should be required reading in all law enforcement agencies and in all police academies, with copies for each police family member. Enroll now - Order the textbook. Essentials of the Reid Technique - Criminal Interrogation and Confessions 2nd Edition by Inbau and Reid. We have a difficult and comprehensive 310+ question exam for this popular Investigator and Detective promotion testing title. Enroll now - Order the textbook. Florida Law Enforcement Handbook - 2019. From BLue360 Media. Attorney-written exam with 310+ questions. Enroll now - Order the textbook. For the Record: Report Writing in Law Enforcement 6E 2008 - Hess and Orthmann. 260+ questions. Enroll now - Order the textbook. Fundamentals of Criminal Investigation 8E 2013 - O'Hara's 500+ questions. One of the top choices for Detective promotional exams. Enroll now - Order the textbook. Illinois Officers Legal Source Book - the Police Officer's Bible - from Law Enforcement Training LLC. Attorney-written exam with 460+ questions. Enroll now - Order the textbook. Intelligence-Led Policing - Jerry Ratcliffe, 2E 2016. 240+ questions. The 1st Edition exam is also available. This title is used extensively around the U.S. in Sergeant and Lieutenant and some Captain promotion exams. Enroll now - Order the textbook. Introduction to Law Enforcement and Criminal Justice - by Hess, Orthmann and Cho. 12E 2017. This is a 600+ page work which covers all law enforcement topics and is a popular choice for police Corporal and Sergeant exams. We have a comprehensive 550+ question test available that focuses on the law enforcement subject matter. Enroll now - Order the textbook. Law Enforcement Management - What Works and What Doesn't - by Carpenter and Fulton. This is a short and concise work, under 200 pages, and is a popular choice for police Sergeant and Lieutenant exams. We have a comprehensive 210+ question test available. Enroll now - Order the textbook. Law Officer's Pocket Manual - 2019 Edition (310+ questions) and 2018 Edition (280+ questions) from BNA Books. Attorney-written exam very popular around the nation for Corporal, Sergeant, Detective and Lieutenant exams. Enroll now - Order the textbook. Leadership and Management in Police Organizations - Giblin 1E - 2017. 350+ questions. Popular title for Lieutenant, Captain, Commander and upper-management exams. Enroll now - Order the textbook. Leadership, Ethics, and Policing: Challenges for the 21st Century - Meese and Ortmeier, 2nd Edition 2010. 150+ questions. One of the classic works still being used in Sergeant, Lieutenant, and Captain exams. Enroll now - Order the textbook. Legal Guide for Police: Constitutional Issues - 10th Edition. Attorney-written exam with 150+ questions. The 9th Edition exam is also available. Enroll now - Order the textbook. Local Government Police Management - 4th Edition by ICMA Press. 390+ questions. One of the classic works still being used in Captain and upper management promotion exams. Enroll now - Order the textbook. Management and Supervision in Law Enforcement - 7th Edition 2015 by Hess and Orthmann. 370+ questions. 6th and 5th Edition exams are also available. Popular title for Sergeant and Lieutenant exams. Enroll now - Order the textbook. Management and Supervision of Law Enforcement Personnel - Schroeder, Lombardo 5th Edition 2013. 260+ questions. 4th Edition exam is also Available. Also a popular title for Sergeant and Lieutenant exams. Enroll now - Order the textbook. Managing and Leading Today's Police: Challenges, Best Practices, Case Studies - 4E Peak, Gaines and Glensor. 340+ questions. Very well and tightly written 320-page textbook that thoroughly covers modern police management and leadership. Now a popular title for Lieutenant and Captain exams. Enroll now - Order the textbook. Managing Police Operations - Implementing the NYPD Crime Control Model Using COMPSTAT - McDonald - 2001. 100+ questions. Enroll now - Order the textbook. Managing Police Organizations - Paul M. Whisenand - 8th Edition, 2014. 220+ questions. 7th Edition exam also available. Enroll now - Order the textbook. Michigan Criminal Law and Procedure - a Handbook for Michigan Police Officers - 4th Edition 2019 by Kendall Hunt Publishing Company Attorney-written exam with 390+ questions. Enroll now - Order the textbook. Multicultural Law Enforcement - Strategies for Peacekeeping in a Diverse Society - Shusta and Levine - 7th Edition - 2018. 310+ questions. 6th and 5th Edition exams are also available. Often-used title for police corporal, sergeant and lieutenant exams. Enroll now - Order the textbook. National Incident Management System NIMS 2008 150+ questions. Enroll now - Order the textbook. Ohio Criminal and Traffic Field Guide - 2017-2 - from Blue360 Media - 110+ total questions in the attorney-written exam. Ohio’s most-often used criminal and traffic laws are broken down into their material elements for easy application and reference. Enroll now - Order the textbook. Organizational Behavior and Management in Law Enforcement - More, Wegener, Vito and Walsh 3rd Edition 2012. 225+ questions. Enroll now - Order the textbook. Paradoxes of Leadership in Police Management, First Edition, Perez 2011 300+ questions. Enroll now - Order the textbook. Pennsylvania Legal Exams - Crimes Code of Pennsylvania AND Criminal Law Digest and Legal Guidelines of Pennsylvania - exams for the 2018 and 2017 Editions are available - from LexisNexis. The yearly editions of both titles are combined into one comprehensive and difficult Attorney-written exam with 380+ questions. Enroll now - Order the textbooks. Performance Based Management for Police Organizations, O'Connell 2007. 135+ questions. Enroll now - Order the textbook. Police Administration - A Leadership Approach - Ortmeier, Davis 1st Edition 2012. 220+ questions. Popular choice for Lieutenant, Captain and upper management promotion exams, or as an add-on Leadership title. Enroll now - Order the textbook. Police Administration - Gaines, Worrall, 3rd Edition 2012. 300+ questions. Popular choice for Captain and upper management promotion exams. Enroll now - Order the textbook. Police Administration - Wilson, Fyfe, Greene, and Walsh 5th Edition 1997. 340+ questions. One of the classic textbooks featuring O.W. Wilson's work, and still being used in Captain and upper management promotion exams. Enroll now - Order the textbook. Police Administration - Cordner 10th Edition 2019. 390+ questions. 7th, 8th and 9th Edition exams also available. This title is used extensively around the U.S. in Lieutenant and Captain and upper management promotion exams. Enroll now - Order the textbook. Police Administration: Structures, Processes and Behaviors - 9th Edition 2016 by Swanson, Territo, and Taylor. 440+ questions. 8th and 7th Edition exams also available. This title is very popular for Lieutenant and Captain and higher promotion exams. Enroll now - Order the textbook. Police Community Relations and the Administration of Justice - Hunter, 9th Edition 380+ questions. Exam for the 8th Edition also available with 300+ questions. Used in both Sergeant and Lieutenant promotion exams. Enroll now - Order the textbook. Police Ethics - a Matter of Character - Perez and Moore, 2nd Edition 2013. 160+ questions. Enroll now - Order the textbook. Police Ethics - The Corruption of Noble Cause - Caldero 4th Edition - 2018. 230+ questions. Exam for the 3rd Edition also available. Enroll now - Order the textbook. Police Field Operations - Thomas Adams, 8th Edition. 7th Edition also available. Popular title for police corporal and sergeant exams. 200+ questions. Enroll now - Order the textbook. Police Field Operations Theory Meets Practice - Birzer. 2nd Edition 2014. A very popular title for police corporal and sergeant exams. 370+ questions. Enroll now - Order the textbook. Police Leadership - Organizational and Managerial Decision Making Process - M.R. Haberfeld 2nd Edition 2013. 100+ questions. 1st Edition also available. Enroll now - Order the textbook. The Police Manager - Green - Lynch - 8th Edition 2018 - 330+ questions. 7th Edition exam also available. This title is very popular for Lieutenant and Captain and higher promotion exams. Enroll now - Order the textbook. Police Management - Roy Roberg, Kuykendall and Novak - 3rd Edition, 2002. 300+ questions. One of the classic works still being used in Captain and upper management promotion exams. Enroll now - Order the textbook. Police Patrol Operations and Management - Hale, 3rd Edition 2003. 285+ questions. One of the classic works still being used in Sergeant and Lieutenant promotion exams. Enroll now - Order the textbook. Police Supervision and Management: In An Era of Community Policing - Third Edition 2010 by Kenneth J. Peak. 150+ questions. Used extensively in both Sergeant and Lieutenant promotion exams. Enroll now - Order the textbook. The President's Task Force on 21st Century Policing - Final Report - 2015. 140+ questions. Enroll now - Download the textbook. Proactive Police Management - Thibault, Lynch and McBride - 9th Edition 2015. 8th Edition exam also available. Often used for police lieutenant exams. 310+ questions. Enroll now - Order the textbook. Problem Oriented Policing - Herman Goldstein - 1990. 100+ questions. The textbook that started POP, still used today for Sergeant and Lieutenant promotions. Enroll now - Order the textbook. Supervision of Police Personnel - 8th Edition by Iannone. Exams for editions 6 and 7 are also available. 260+ questions. One of the most-often used textbooks for police sergeant and lieutenant exams. Enroll now - Order the textbook. Supervising Police Personnel - Strengths-Based Leadership 8th Edition by Whisenand. Exam for the 7th Edition is also available. 250+ questions. One of the most-often used textbooks for police sergeant and lieutenant exams. Enroll now - Order the textbook. Texas Criminal and Traffic Law Manual 2017-2018 and 2015-2016 edition exams from Blue360 Media. Attorney-written exam with 320+ questions. Enroll now - Order the textbook. Washington D.C. Criminal Code and Procedure December 2018 - Comprehensive 360+ question Attorney-Written exam covers all aspects of Washington D.C. law. Enroll now - Order the textbook. Why Law Enforcement Organizations Fail - 2nd Edition O'Hara. 150+ questions. Enroll now - Order the textbook. QUICK RESPONSE 9 a.m. to 9 p.m. Eastern, 7 days including holidays!